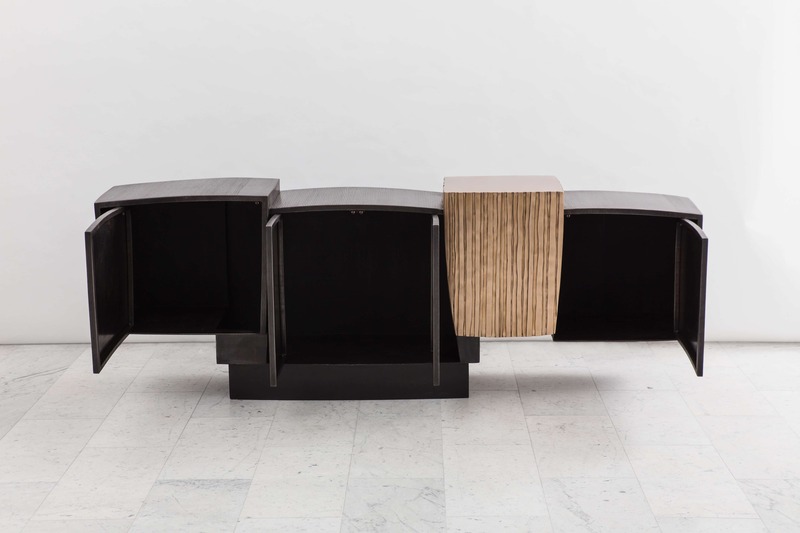 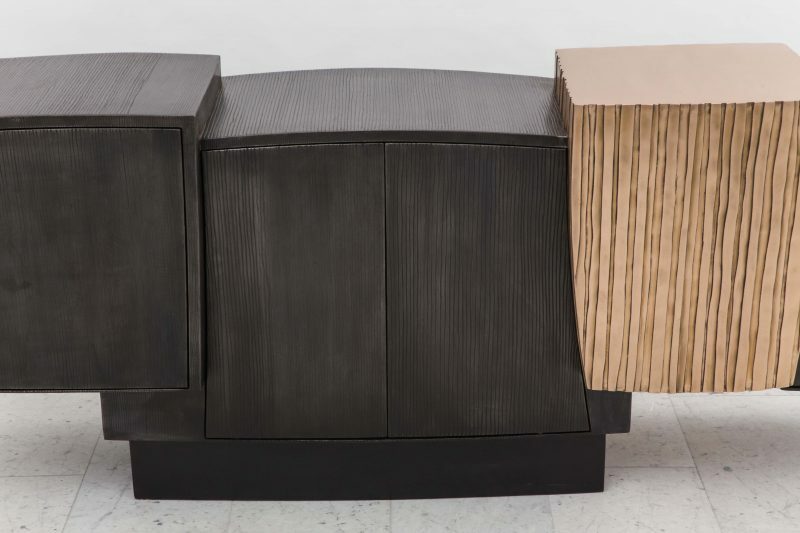 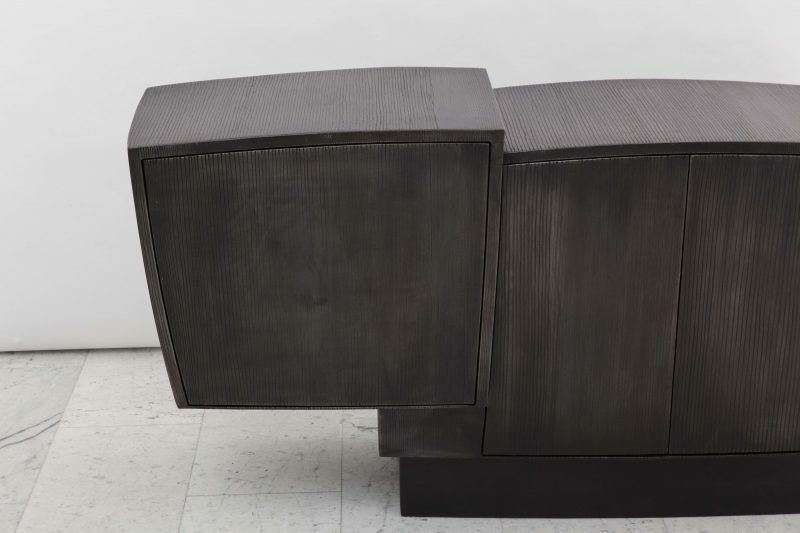 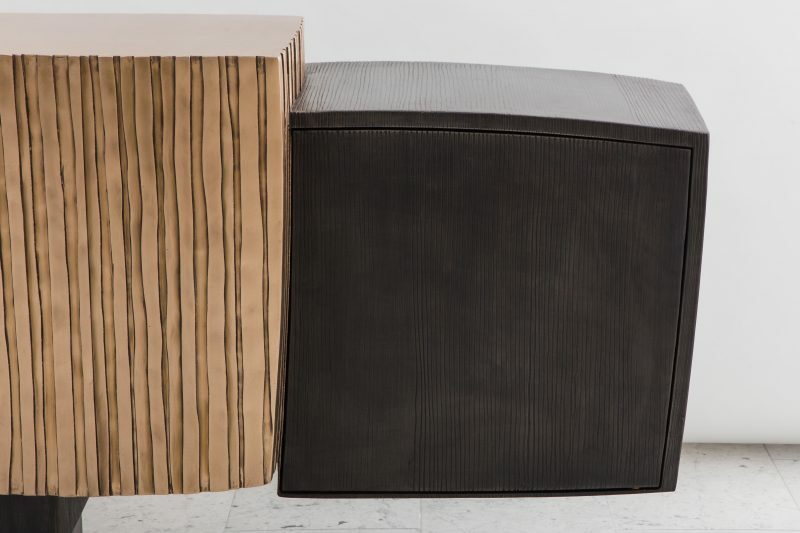 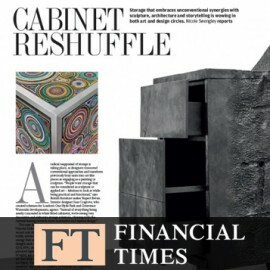 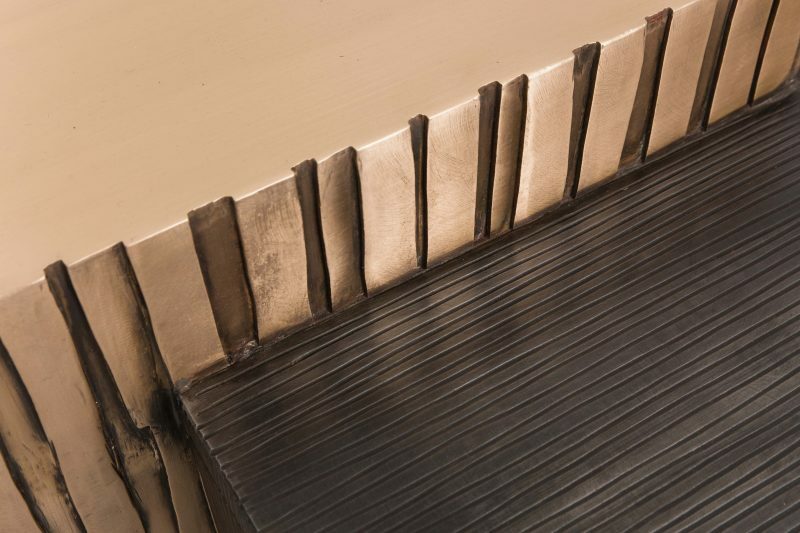 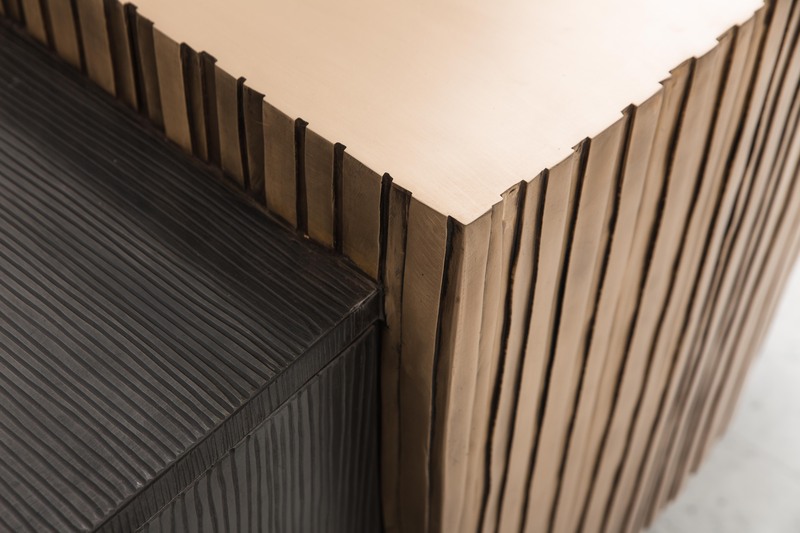 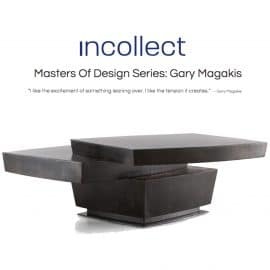 Gary Magakis’ unique steel and bronze console reflects the sculptor’s distinct approach to creating bold and dense geometric forms that exude a Modernist elegance and buoyance. 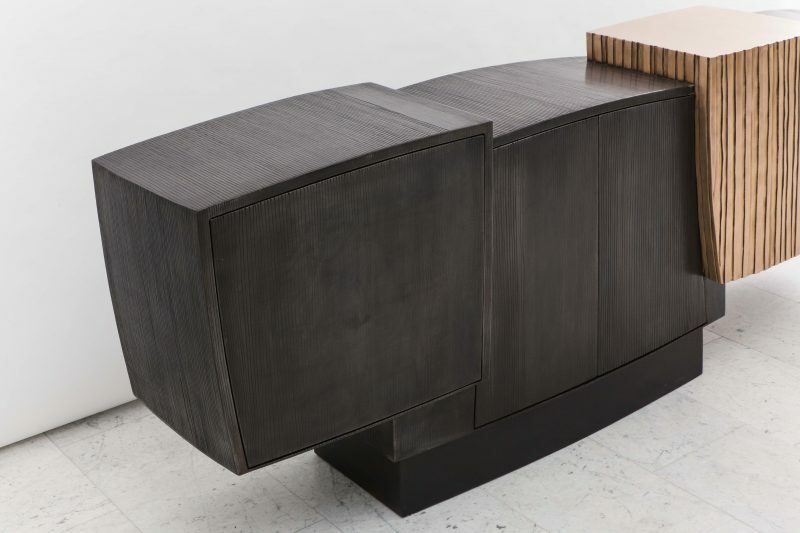 At once a functional object and a work of art, the console is designed to suggest weightlessness while retaining a muscular visual power. 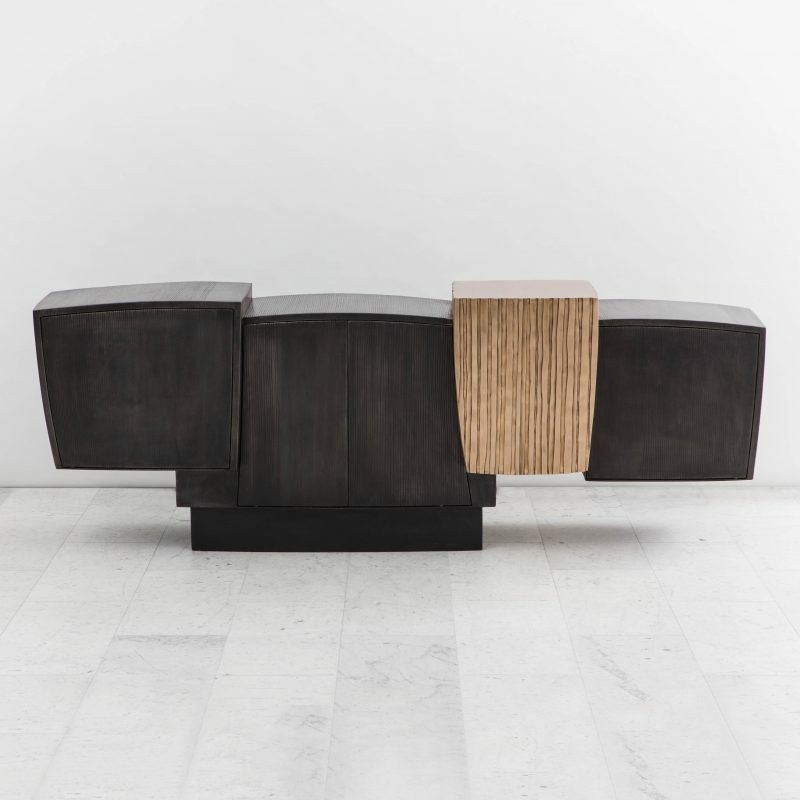 The dynamic relationship between the lightness of the console’s cantilevered forms and its sturdy, dense materials creates an ideal aesthetic equilibrium. 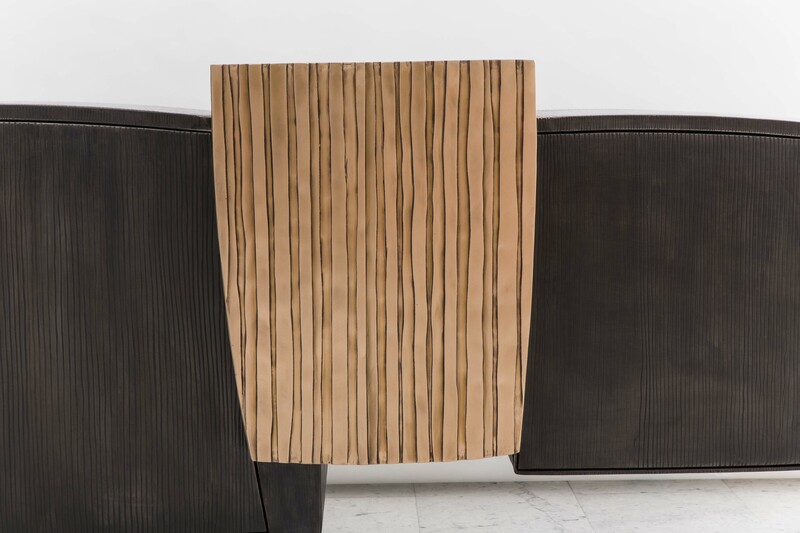 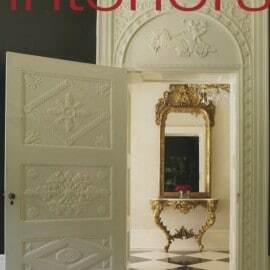 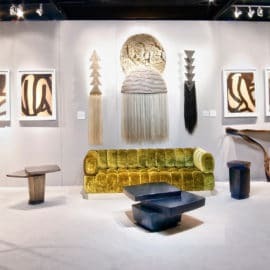 As the artist works on a commission basis, custom dimensionality and finishes may be accommodated.